Maurice Chen grew up in Brooklyn, New York. He received his B.A. at Carleton College in 2009 with a degree in biology. One of his fondest undergraduate moments included studying poison dart frogs (Oophaga pumilio) at the La Selva Biological Station in Costa Rica as part of the Organization of Tropical Studies research program. 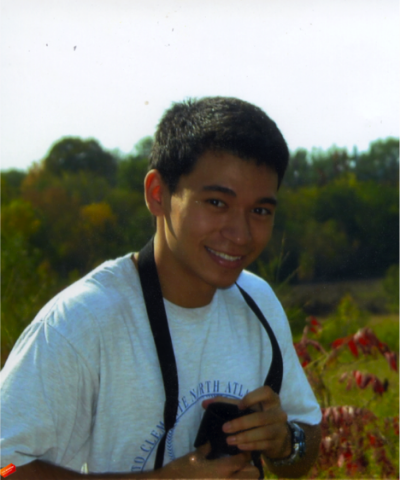 After college, Chen was involved with the Palmyra Sea Turtle Project at the Center for Biodiversity and Conservation at the American Museum of Natural History in New York where he created computerized models of green sea turtle (Chelonia mydas) carapaces for 3D Photogrammetric analysis. He also worked in a cancer center as a research analyst. Michelle Locke completed her M.Sc. at Carleton University, in Ottawa, Ontario, Canada. Locke’s M.Sc. thesis was a revision of the flower fly genus Dasysyrphus (Diptera: Syrphidae) under the supervision of Dr. Jeff Skevington of Agriculture and Agri-Food Canada. She worked as a contract Research Technician at the Canadian National Collection of Insects, Arachnids, and Nematodes in Ottawa. Her contract work focused on the Syrphidae collection, doing identifications, curation, databasing, species level conservation assessments, macro photography of specimens, and work on producing a Field Guide to the Syrphidae of Northeastern North America (in progress). She also worked as a scientific assistant to the Scorpion Systematics Research Group at the American Museum of Natural History and has done field work in South America and Southeast Asia. Currently, Locke is serving as a systematic entomology assistant at the Canadian National Collection in Ottawa. Sean McKenzie grew up in the hardwood forests of northern Alabama at the farthest foothills of the Appalachian Mountains. As a child he spent his free time roaming the hills and creeks around his home, inspired especially by the Kratt brothers towards the exploration of natural history. As an ecologist, sociobiologist, and lately molecular evolutionary biologist McKenzie has lived this dream, first as an undergraduate at Sewanee: The University of the South, then as a graduate fellow at Rockefeller University, NYC. At Sewanee, McKenzie was a member of the Sewanee Natural History Society and served as its patrician sophomore year. McKenzie has done field work in Costa Rica, Bangladesh, Haiti, and Uganda and explored ecosystems in Cambodia, Turkey and Italy. As a graduate student in the Laboratory of Insect Social Evolution, McKenzie works on the genetics and physiology of communication in ants. As a botanist in the arid landscapes of eastern Washington, Dr. Allen became enraptured with the cryptic organisms holding this planet together, most especially lichens. Dr. Allen attended Eastern Washington University where she worked on the systematics of the flowering plant genus Claytonia. In 2010, she was funded by the National Science Foundation as a Research Experience for Undergraduates (REU) intern at the Field Museum of Natural History. Dr. Allen currently works at the New York Botanical Gardens on the systematics of lichens conducting field work primarily in the wilderness of the United States southeastern coastal plain.